note: – indicates a negative amount and is now due otherwise, it is a positive amount and is a credit balance. As always, please log into your control panel and confirm your invoice statements for details. You can view your itemized, detailed invoice for your account through your control panel. 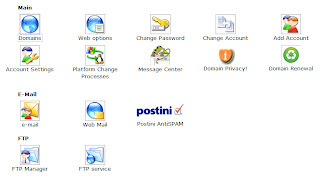 Log into your control panel @ https://www.hostica.com/Account_Login.htm using the username ACCOUNT.LOGIN and your password. If you lost your password, select the “If you have forgotten your password, click here.” link below the login button and your password will be sent to the e-mail address on file. Click on the “Billing Statement” icon in the “Quick Access” section. 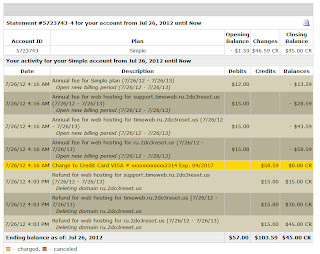 Clicking on each of the links will display your account activity for that particular billing cycle. 3) Set Receive e-mail invoices to OFF. 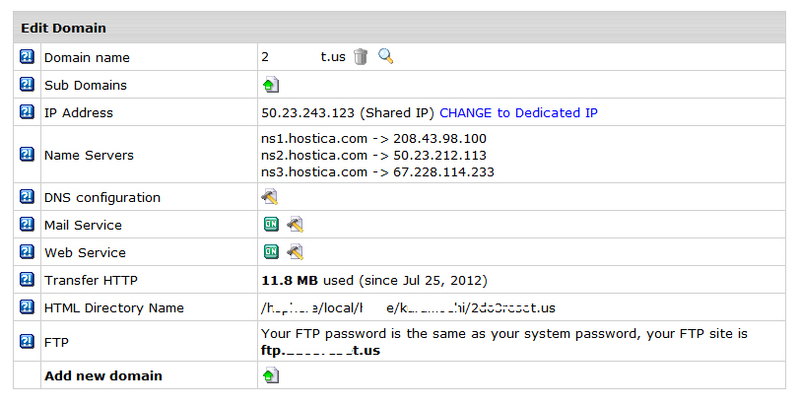 This is a transaction receipt performed by Hostica.com Contact billing@hostica.com or +1.3102120190 with any questions. - Note: if charge was for $1, it was to verify the credit card and has been VOIDED! It will NOT appear on your bank statement. note: - indicates a negative amount and is now due otherwise, it is a positive amount and is a credit balance. As always, please log into your control panel and confirm your invoice statements for details. 1. Log into your control panel @ https://sender.hostica.com/wf/click?upn=Vr3ZYvrRMVqXm5wQNsj6PyHgFYAKyL8crUDagr3mObKfUIi8Ob9lI44w3lKD5Lj4_tYnH9DMmufoFZ7mLRWdnguzmf8Eq07Dh6-2FT4N4l6cVXSTZ-2F6GIg9C2jiahpU5Wf8m2tKLg86exsiypN6GkYUQiHi9ccc0yNVEFUBZm5H46X52aULW-2FHCHKr7y6scFArwjgWKUgfF-2F4hIl5k-2F054pzUxuAMqhJRLetS-2BYiRo-2BOcY-3D using the username ACCOUNT.LOGIN and your password. If you lost your password, select the "If you have forgotten your password, click here." 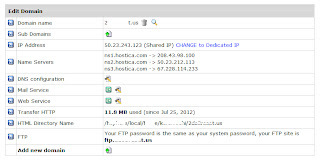 link below the login button and your password will be sent to the e-mail address on file. 2. Click on the "Billing Statement" icon in the "Quick Access" section. 3. Set Receive e-mail invoices to OFF. 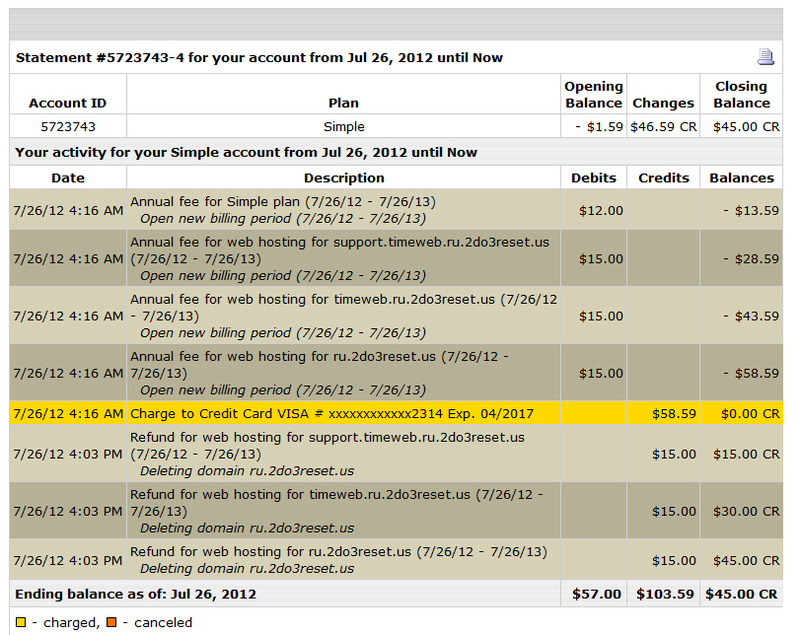 As of Aug 26, 2012 your account #5723743 has $45.00 CR as a balance. No action is required at this time and no payment is due. You haven't made any purchases or orders that would affect your balance and you haven't exceeded any of your monthly resource limits. AS OF NOW, THERE ARE NO CHARGES DUE! THANK YOU FOR YOUR CONTINUED BUSINESS! This is just a friendly reminder of your account status. Your account is still active and will remain active until you cancel your account. 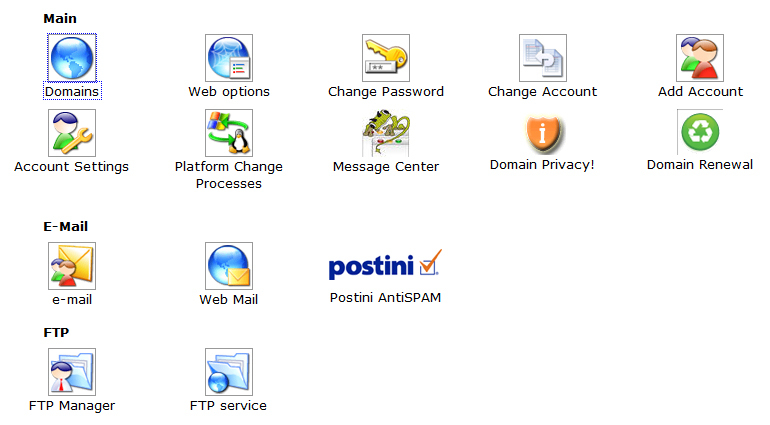 If you ever wish to cancel your account, please contact billing@hostica.com.